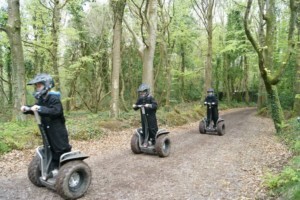 What says a bit of friendly family bonding better than shooting someone up with paint pellets deep behind enemy lines or the thrill and excitement of gliding on a Segway X2 through 30 acres of scenic woodland and forest treks. If this sounds like your idea of a good fun day out then Dragon Raiders Activity Park could be just the thing to cement your family bond! 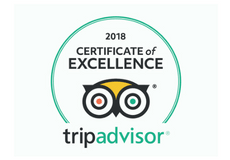 As one of the region’s most popular attractions for days out, Dragon Raiders have been providing family fun for many years and that’s all down to their great location and brilliant staff. Situated in the Lleyn Peninsula, you could hardly ask for a better place to get stuck in to some paintballing or Segway adventures. 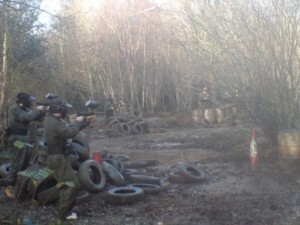 First time paintballers may feel a bit anxious about taking part in such an adrenaline booster? There’s no need to worry, Dragon Raiders’ expert team are on hand to help you with any questions or worries you may have – they’re approved by the UK British Paintball Association for a good reason. All the marshals will make sure that you’re fully in the know about what you should be doing before they send you on your own. The way you play is totally up to you. You may want to play it slow and sneak up on the enemy or you may want to go at it with all guns blazing, it’s your call. For those that prefer the Segway adventure then you will not be disappointed. On arrival all riders are issued with a safety helmet and gliding suit. You will then be given a full safety demonstration before you hit the Segway Park. You can choose to glide through the relaxing forest treks or take on the challenge of going off-road on one of the rally treks. Please call us on 01766 523119 or email enquiries@dragonraiders.co.uk for more information. *Please note we are a pre book business.